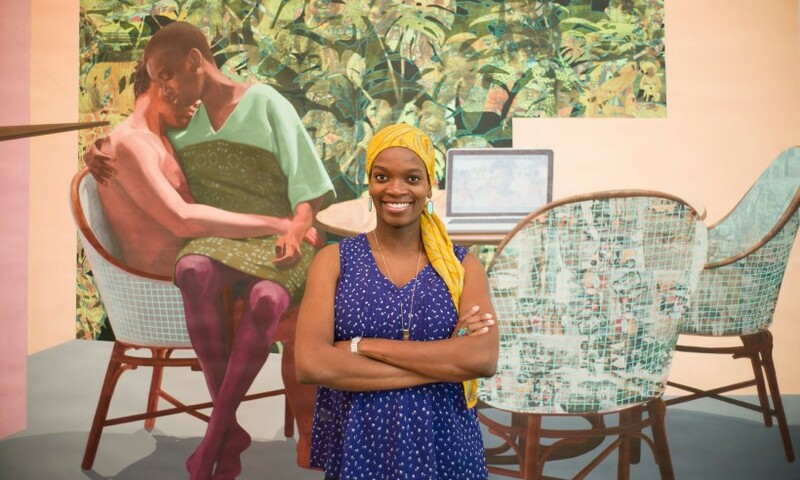 Njideka Akunyili Crosby was 16 before she took her first art class. She talks about why most of the figures in her paintings appear to be doing nothing at all, Mean Girls at Yale, and the debt she owes Harlem’s Studio Museum. By Sophie Heawood. Njideka Akunyili Crosby is walking around the Victoria Miro gallery in east London, calmly examining her paintings. The collaged pictures of herself and her family lie on the floor, waiting to be hung; she brought the last two in her own luggage from Los Angeles, having stayed up all night before the flight to finish them.